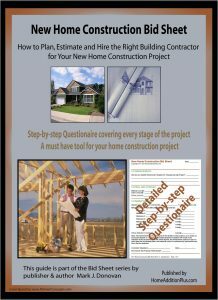 Jobsite theft is a major problem with both new home construction and home remodeling projects. It is usually neighborhood thieves who sneak in overnight or on the weekends and steal tools and materials from the jobsite. However in some circumstances it can be the jobsite contractors and subcontractors who steal building materials, and steal it in creative ways. For example, I personally knew one unscrupulous home remodeling contractor who would actually order more material than necessary for a specific home remodeling project and then load up the excess material on his truck to take to his personal camp that he was building. The homeowner discovered the theft by keeping track of the material ordered, comparing it to the Bill of Materials list for the project and personally counting the lumber as it arrived on the jobsite. During the aftermath of the Katrina hurricane this type of theft was a rampant problem. 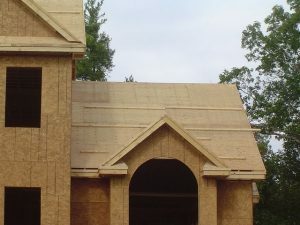 Contractors would buy excess material for a particular home reconstruction project, use it on two home construction projects, and effectively charge each homeowner (and government) nearly twice for the building costs. I know this for a fact as I was contacted by a Katrina Hurricane watchdog group who asked to use my home construction bid sheets as tools for preventing this type of contractor theft, a request that I whole heartily supported. Though there can be shady contractors, by and large most of the home remodeling jobsite theft is associated with neighborhood thieves who are stealing material for their own home construction projects or stealing tools and precious metals (copper) to make a fast and illegal buck. According to the National Association of Home Builders (NAHB) approximately $1 billion in jobsite theft occurs every year. The theft of copper, for example, is a major problem today on jobsites. Copper has increased in value dramatically over the past several years and thieves are commonly going into new home construction projects and ripping out the copper plumbing at whatever expense. There are a number of ways you can prevent home remodeling jobsite theft. First and foremost keep good records of building materials ordered and delivered. This way you can keep close tabs on what materials are being used. Second, demand just-in-time delivery for materials. There’s no point in having an entire house worth of construction materials show up on your jobsite on day one. Limit, for example, only the rough lumber for framing the home or home addition. Once the frame structure is nearly up, have the roofing supplies and doors and windows delivered. By taking deliveries in this process you can prevent both theft and weather/accidental damage on the materials. Another key thing that you can do to prevent home remodeling jobsite theft is to store construction materials and tools in a secure area if at all possible. This should be fairly easy on a home remodeling project, versus a new home construction project. If you can’t lock your tools up then take them with you at the end of each day. Also, take down the serial numbers of your tools and take pictures of them. In addition, cover your materials. The old proverb “Out of site is Out of Mind” can really help to reduce theft. Another option is to light up the area where the building materials are being stored. Construction jobsite theft commonly occurs at night and on the weekends when there are few people around. By keeping the area well lit you can discourage many would-be thieves from even considering stealing from you. Notify trusted neighbors to keep an extra eye out for your jobsite when you’re not there. Leave them with a couple of phone numbers to contact you and offer them a small token of your appreciation for their help at the end of the project. Finally make sure to take out insurance on your home construction project to cover you in the event building materials and/or construction tools are stolen. Its relatively inexpensive insurance and it offers peace of mind.